When I attended the grand opening of the Suncor Energy Centre for the Performing Arts I was quite excited when they announced that one of the planned events was opera performances from The Metropolitan Opera via their Live in HD program. I know not everyone is an opera fan but I happen to genuinely enjoy opera. The soaring voices, the stunning music, the passion - what is there not to like about opera? Okay, I know some people are put off by it being in another language, but really if you read the synopsis it's pretty easy to follow along, and most of the stories are quite easy to comprehend simply by watching the action and expressions. Well, this past Saturday was the first opera performance at the SCPA, and what a treat it was, people. The opera being performed was "Don Giovanni' - and if you aren't familiar with it this is the story of Don Juan, love 'em and leave 'em master extraordinaire. 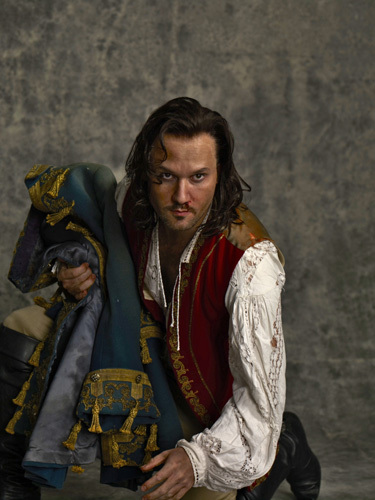 Don Giovanni, charming - or just dangerous? My friend and I arrived at Holy Trinity and I was a bit worried as the parking lot was quite empty. We were early, though, so I hoped that more opera fans would arrive - and arrive they did, despite several other events occurring on the same evening. In fact the crowd was quite a reasonable size, and it surprised me a bit - I'm thinking we might just see some sold out operas in this community, which is both exciting and mildly worrisome as I have a tendency to forget to buy tickets for things. The SCPA is the perfect venue for opera - the theatre setting truly makes it feel like you are right there at The Met. 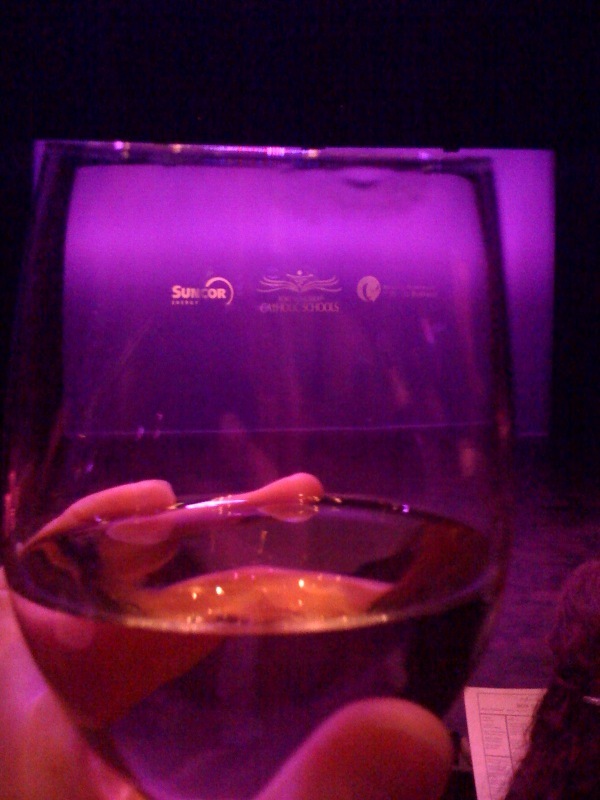 I was delighted to see they had secured a liquor license and thus I could even enjoy the opera with a lovely glass of white wine. I was feeling very cosmopolitan, with my wine glass and ready to enjoy a classic tale of deceit and passion and pain and retribution. Don Giovanni is a tale as old as time, really. Giovanni is the ultimate deceiver, a liar and cheat of epic proportions. He seduces women all over Europe, woos them with promises of love and faithfulness, and then betrays them as he moves on to his next conquest. There are those who think Giovanni charming, but not I. I think he's a prime example of a narcissistic sociopath, and I don't find those particularly charming. Ever met one of those people, a narcissistic sociopath? The usual advice if you meet one is to run, not walk, away - but it's not like they carry signs saying "hello, I'm a narcissistic sociopath who will destroy you". No, they are the charmers who come armed with lovely words and smiles and promises. Those words and promises can be of whatever it is you desire - love or profit. What you don't realize until it's too late - until they have stolen your heart or your bank account, or even worse, at the far end of the spectrum, your life - is that you are but a pawn in their little game. You are not a person to them, you are a means to an end. They blow into your life like a summer storm, razzle and dazzle you with a stunning show of lightning and thunder, and then blow out again, leaving you to clean up the wreckage. They are able to adapt to any situation, to adjust to any adversity, spinning on a dime, twisting and turning their way out of whatever their latest debacle happens to be. And that, in a nutshell, is Don Giovanni (and there are others out there like him, people - according to some reading I've done they may hold employment in positions of authority, like law enforcement or the military, as those jobs appeal to their nature). Giovanni is the ultimate narcissistic sociopath, and this opera is the tale of his escapades, those he has harmed (and how he has harmed them, with his words and his promises and his sword), and his eventual bitter end when hell opens up and swallows him whole. I wish more narcissistic sociopaths ended up that way but sadly that sort of thing is pretty rare (I like to believe they eventually pay in some form, though). It's a bloody good tale, really, and the performance from The Met was stunning in everything from set to costumes to execution to song. It was a true joy to be there for this inaugural performance, and as I drove away I thought about many things, including our good fortune at having this new theatre in our community, and about the sociopaths I have been unfortunate enough to encounter (and indeed I have, as have many of us, really, whether we know it or not). I also thought about buying tickets for the next opera, which happens to occur on my birthday - "La Traviata". I won't be thinking about it for long, though, because I have no intention of missing it. I am beyond delighted to be able to enjoy opera here in Fort Mac. I have long bemoaned that other cities got to see The Met productions on their big screens, and I am so very proud that we now have this to offer in our community, too. Bravo to the Suncor Energy Centre for the Performing Arts for being a bit brave and bringing opera to a place not usually associated with it - but that will, if the crowd from Saturday night is any indication, embrace it warmly. 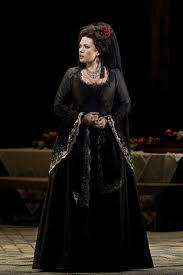 My advice if you've never seen opera is to just give it a try - you just might be surprised at how much you enjoy it! 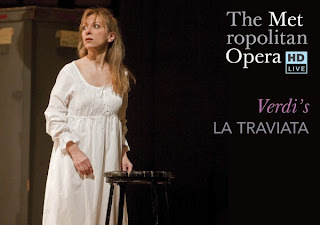 Hope to see you at "La Traviata", Fort Mac (and, yes, I will accept birthday drinks that evening, thank you!). and songs like this are the result.